Vbet.com - juicy deal in Armenian poker room. Vbet is the largest betting shop and casino operator on the territory of Europe with its branches all over the world and its main Headquarters in Riga. The variety of Vbet's gaming products is impressive: casino, bets (including e-sports events), fantasy drafts, tierce and, of course, poker. The interface of the site has a Russian version, the support is responsive and flawless. The Vbet's poker pool attracts betters and casino players, which insures the inflow of recreational traffic, while the large brand name in gaming industry guarantees maximum safety of the funds on the account. Vbet's traffic reaches 500 connections from Europe in evenings. The main currency is EUR. The cash games are represented by almost regular 4–8 tables at the stakes NL\PLO 5 - 10, pretty often going 2-3 table at stakes PLO\NL25 - 30 - 40. Action at higher stakes is rare, just because have no regulars who starts tables. Not without interest are HU tables which do not "respawn". However, there is no particular fight for the seats due to low traffic of regulars. You can get occasional action from the lowest stakes up to NL400, where betters and slot players spontaneously burn their money. In November 2018 6+ holdem (short deck) has been added with stakes from nl5 to nl400. The traffic in SNG and PLO tends to zero. The room offers lots of low - mid buy-in regular tournaments with guarantees up to 10,000 EUR with overlays. Flexible settings of cards display, table tiling and bet-slider adjustments are the main advantages of this software. The main disadvantage — poorly visible sizes of the bets at minimal resolution of the table. In March 2019 such features as straddle (optional) and "Run It Twice" have been added to the cash tables. The Holdem Manager and PokerTracker are not supported by default. A special hand converter is under development. Vbet offers all popular payment systems: Skrill, Neteller, credit cards, Yandex-Money and many other. The important nuance of the room's policy is that the size of the withdrawal must not exceed the size of the funds that were in play. In other words, in case of poker, you need to bet more in total in all of the hands than you are going to withdraw. Vbet is a youthful poker room being supported by a large network betting shop and casino operator, which ensures high safety of the deposits and optimistic outlook of its future development. Even now the HU regulars may find a reliable place to wait for the game at low and middle stakes with minimum competition and high chances to get a lucky seat. Top it with the regular direct rakeback of up to 50% paid off by the poker room and you will get a relatively small but interesting poker room with high odds of success. 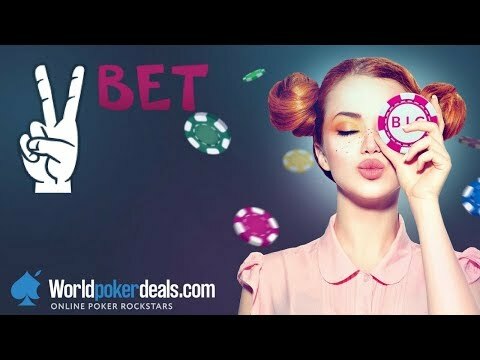 Vbet poker — video review in 2018.